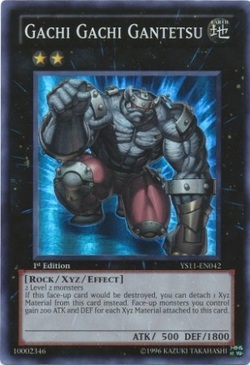 Gachi Gachi is a Rank 2 XYZ monster that when is is going to be destroyed you can detach a xyz material . 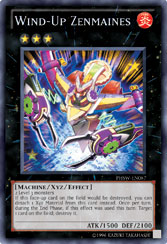 Wind-Up Zenmaines is a Rank 3 XYZ Monster, it has the same affect that you can detach a material so it will not be destroyed, but during the end phase if you use hes affect you HAVE to target 1 card and destroy it. This means his affect is mandatory which can cause problems.